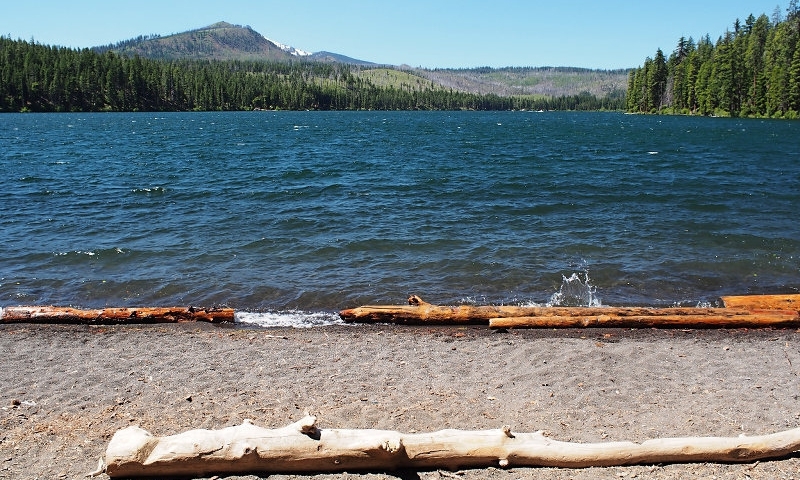 Spectacular views, beautiful alpine scenery, and a variety of outdoor recreation are just a few reasons to visit Suttle Lake, located 37 miles northwest of Bend. Spend a night in the beautiful lodge or one of the rustic log cabins at Suttle Lake Resort. A pristine alpine lake just 37 miles from Bend. Anglers can fish for salmon, trout, whitefish, and crayfish. There are several scenic hiking trails near the lake. Suttle Lake is a beautiful alpine lake not far from Sisters. Situated amidst towering Ponderosa pines, this pristine lake is a popular destination for fishing, hiking, and camping. A variety of cozy log cabins as well as a beautiful lodge also attract visitors to this scenic spot in sunny Central Oregon throughout the year. Suttle Lake, Oregon, is located 37 miles northwest of Bend via Highway 20. Fishing – Suttle Lake fishing is a popular activity. The lake has an abundance of Kokanee salmon, rainbow trout, brown trout, whitefish, and crayfish. Camping – Suttle Lake camping can be done at three nice campgrounds near the lake, each nestled in the beautiful Deschutes National Forest. Suttle Lake Resort offers a variety of wonderful log cabins and other lodging for those who would prefer not to rough it. Hiking – There are several excellent hiking trails near Suttle Lake, ranging in length from the 1.7 Pilot Butte trail to the 19.5 Pine Mountain Loop that offers breathtaking views from the summit after you trek through old-growth pine and sagebrush. Suttle Lake has depths up to 75 feet and covers over 250 acres. The lake’s surface elevation is 3,438 feet. Although the lake now bears the name “Suttle”, it was actually named after a pioneer named John Settle, who discovered the lake while hunting.